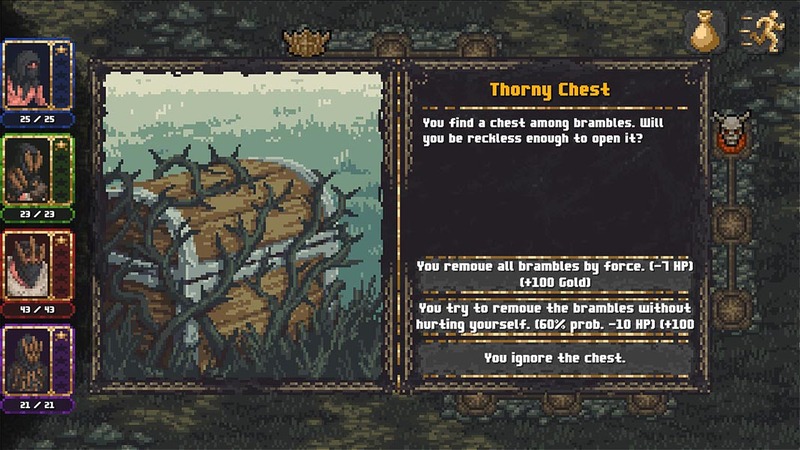 A turn-based tactical RPG that doesn't try to hide its inspiration in terms of both looks and gameplay, using Darkest Dungeon and the Dark Souls saga as references. Drawing inspiration from quality games is inevitable. 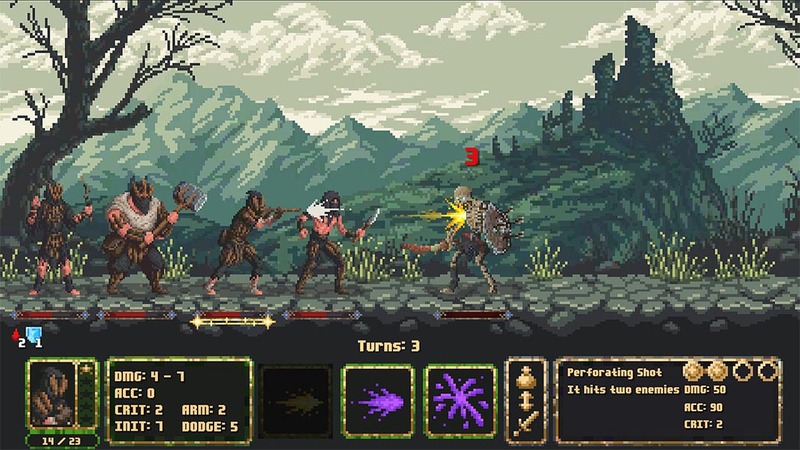 Battle Souls from the Spanish TaleSoft Studio doesn’t even try to hide its gameplay inspiration, being based on the brilliant Darkest Dungeon, and the same goes for the dark fantasy style influenced by the Dark Souls saga. In fact, all it takes is a quick look at Tap Souls, their last Android title, to clearly see the enormous devotion to the work by FromSoftware. 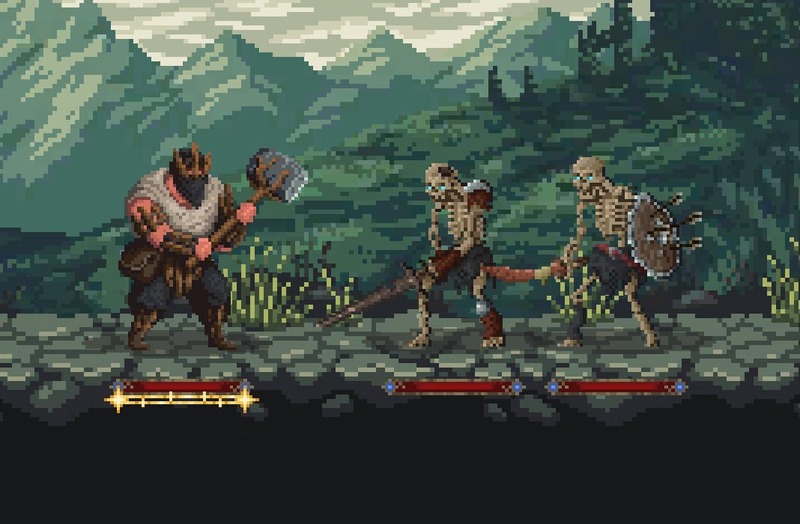 Battle Souls is a turn-based tactical RPG with adorable pixelated 2D graphics, a definition that can be as flexible as the genre itself. It’s so similar to Darkest Dungeon, to the point that the development of the combats is practically identical. You have a team of up to four members, each one with its own combat skills. 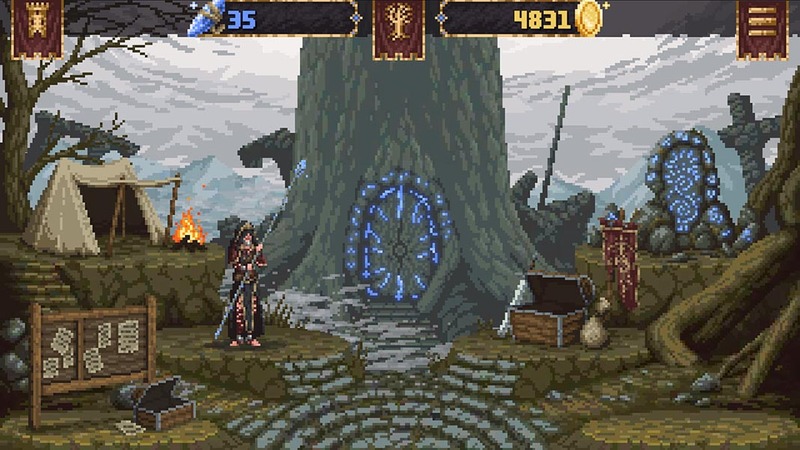 The unhurried battles let you choose skills and objectives calmly, but you’ll have to consider both the effect of the attack and the objectives it will affect. Sounds familiar, right? The dungeons also use a similar structure, but they have a more simplistic look than in the game from Red Hook Studios. You’ll advance over small interconnected boards until you reach the final boss. In each square you may come across a combat, or any other type of encounter or special event, whether it means running into a trap or finding treasure. Each one of these missions can be completed with three different difficulty levels, with the reward varying according to the difficulty. Battle Souls is an interesting game that’s openly inspired by one of the best tactical RPGs in recent years. TaleSoft assures that they continue working on the game, so new missions will continue to be added to the two initial worlds. And considering it’s made in Spain (home of Uptodown), we can’t help but give it even more support, if that’s even possible.